Over the last few weeks, I've been busy with general life . Work have implemented changes by restructuring my team, resulting in new a Manager and my team relocated work space', that's life I guess. In beginning of December, I visited the Gothic: Terror and Wonderment event at the National British' Library, which was extremely informative . I've wanted to write either a critique or a review about the exhibition. I've been experiencing blogger's block, and I've attempted numerous times to write about it; everything I written has turned out to be s*%^. I have taken My boyfriend's advice, so, I've finally, admitted defeat for my sanity and after Christmas I may retry to write it. 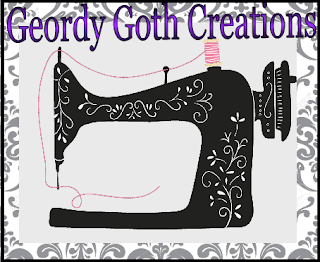 Hi Sarah, I'm Jane and originally I'm from Gateshead (though I have decamped to the coast) - small world though bizarrely I came across your blog via Sylvie's (Little Corp Goth Girl) so I've travelled round the world to get here! Just read your post about the Mayfair / City Hall / Mini Mayfair which made me smile - I've had many great nights at all 3 venues.